Continuing my "What Do You Do with That?" post on Smoked Oysters, I wrote this recipe a long time ago, but this time I added smoked oysters. We had this for dinner last night and all I have to say is... Oh. My. Gosh.!!!!! This recipe is to die for!!! The smoked flavor from the oysters is soaked up by the pasta and comes out in every bite! 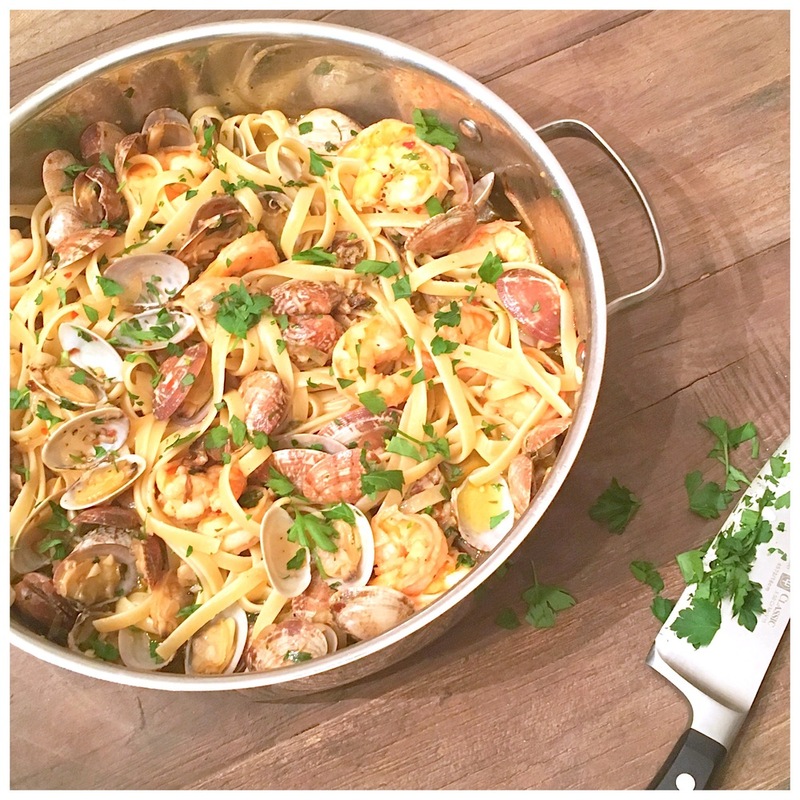 Adding smoked oysters is a thrifty ($2 a can) way to add more seafood to your pasta without breaking the bank, and it makes it taste even better! 1. Boil fettuccine in a pot of salted water, using the package directions as a guide, until the pasta is al dente. Drain and reserve at least one cup of the pasta water. Set aside. 2. In a large sauté pan heat olive oil over medium low. Add the shallots with a dash of salt and pepper and let cook for 1 to 2 minutes or until translucent. Add the garlic, red pepper flake, and thyme and cook for one more minute. 3. Pour in the wine and add the shrimp and clams. Bring to a boil, cover, and then simmer for 3 to 4 minutes until clams open and shrimp is pink. Add the smoked oysters, lemon juice, butter, parsley, fettuccine, and about 1/4 cup of reserved pasta water (add more pasta water as needed). Stir together, let cook for about one more minute, and serve.